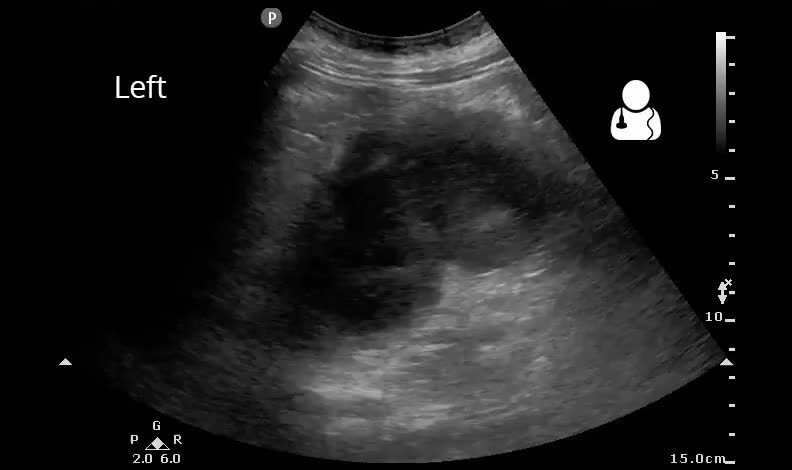 Left pyelonephritis with Right renal abscess. I think there is mild Hydronephrosis on both sides. 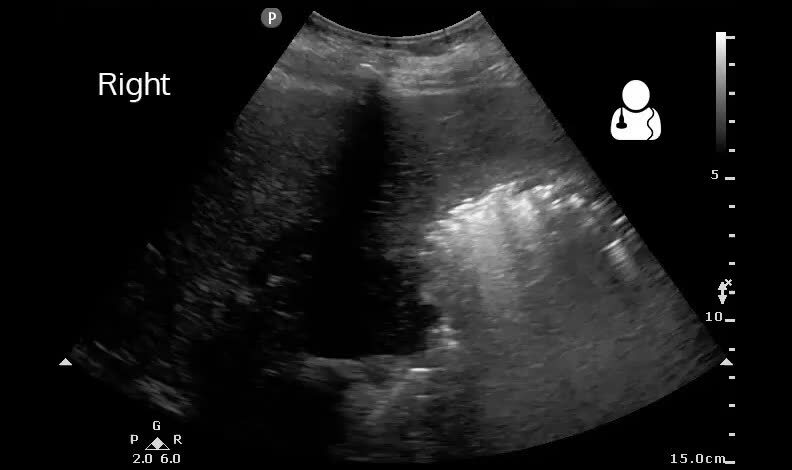 How about imaging from the back- v.much closer to the kidneys?? what do you think?